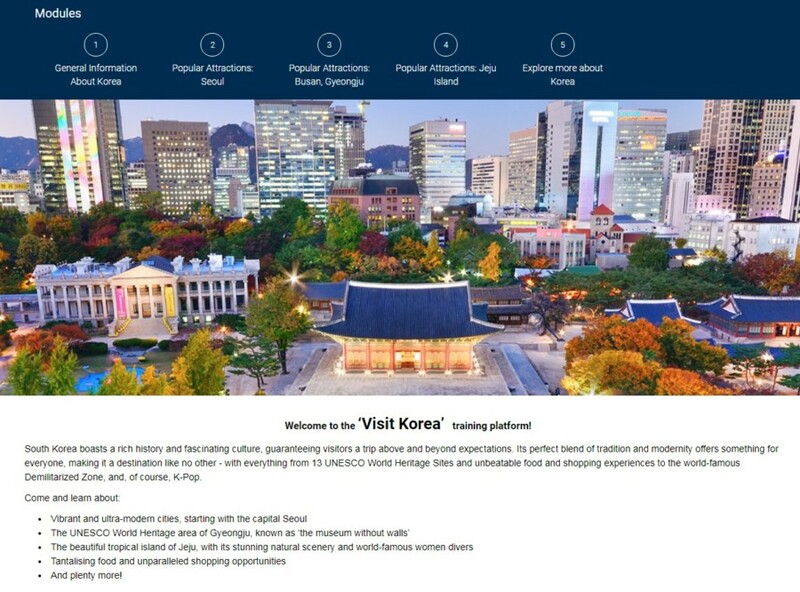 The London office of the Korea Tourism Organisation (KTO) has released a new and improved online training site with OTT. 2018 has seen Korea enjoy international success, from the Pyeongchang Winter Olympics to considerable political developments on the peninsula, making now the perfect time to upgrade and relaunch the information available to travel agents. KTO is committed to providing the most up-to-date information about Korea to ensure agents have the necessary knowledge and tools to sell the destination. Aware of the time-sensitive nature of the industry, KTO has ensured that modules are clear, concise, and easy to digest, meaning they can be completed quickly and efficiently. Modules cover general information, top attractions (including the capital city of Seoul, various UNESCO World Heritage Sites, the world-famous Demilitarized Zone, and Jeju Island), food, shopping and duty free, accommodation, and more. KTO is confident that this fresh information, combined with stunning images, will continue to inspire agents about Korea as a top destination. By including such a broad range of topics, the course will also equip agents with the information required to cater to clients with varying interests, budgets, and schedules, from a whistle-stop tour of the country’s best shopping experiences to a longer exploration of the nation’s historical and cultural locations. To celebrate the relaunch, those who complete the course by the 30th of November will be entered into a prize draw, with 1 Samsung Galaxy Tablet and 10 £20 Amazon gift cards up for grabs. The free training course can be found here.